It’s been a while since we saw Christopher Walken and Robert De Niro on screen together, but as is the tradition now the lure of the family-friendly fare is enough to bring them back together. Robert Kimmel Smith’s The War with Grandpa is the film in question, on its way from director Tim Hill. 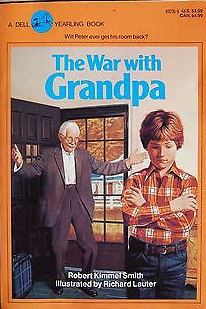 It concerns a young boy whose bedroom has been commandeered by an itinerant grandfather, and all-out prank war ensues. Eugene Levy has also joined the Old Dear Hunter. Hill’s previous films include Alvin and the Chipmunks, Garfield 2 and the recent Hop. The man also did Muppets from Space as well, so there’s family film form here. The thought of seeing De Niro and Walken back on screen is an enticing one, though a sort of anti-Home Alone wasn’t quite what we were expecting.